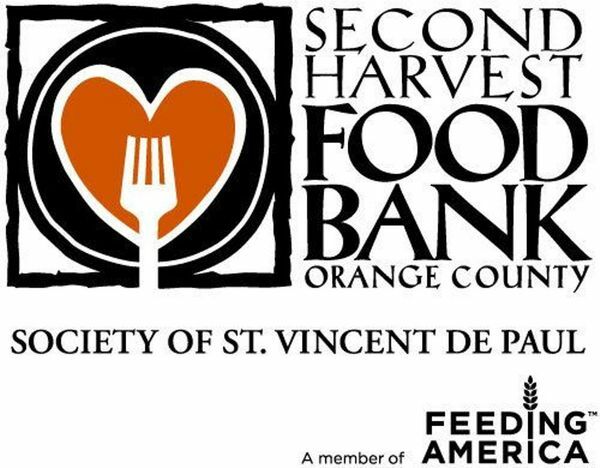 HKB Tustin Martial Arts is currently running a Food Drive campaign for Easter ending Saturday April 26th 2014. I am hoping to encourage you to get involved by coming along, meeting some new people and learning some new skills in the process. 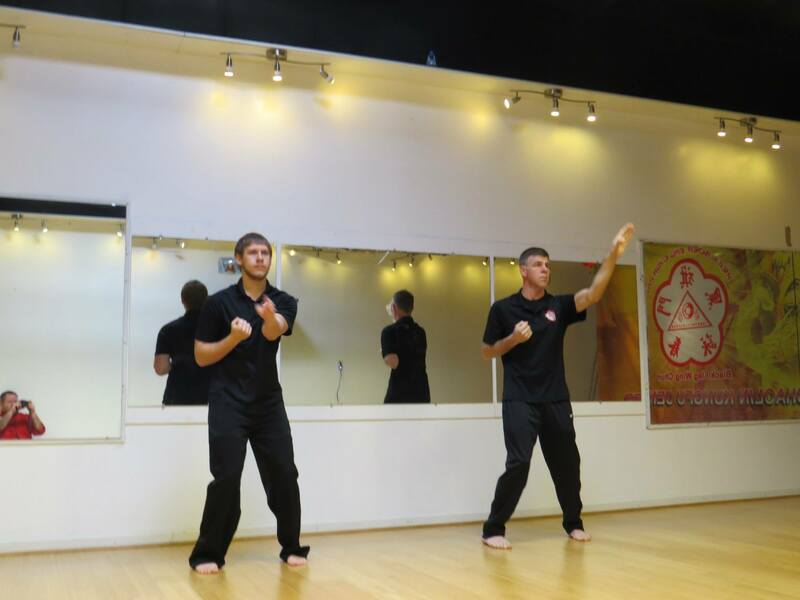 We have a successful track-record of helping people just like you in achieving your goals in training Martial Arts and to become Safer, Healthier and Happier by developing and maximizing Your True Human Potential using our Proven Realistic Martial Arts training methods. 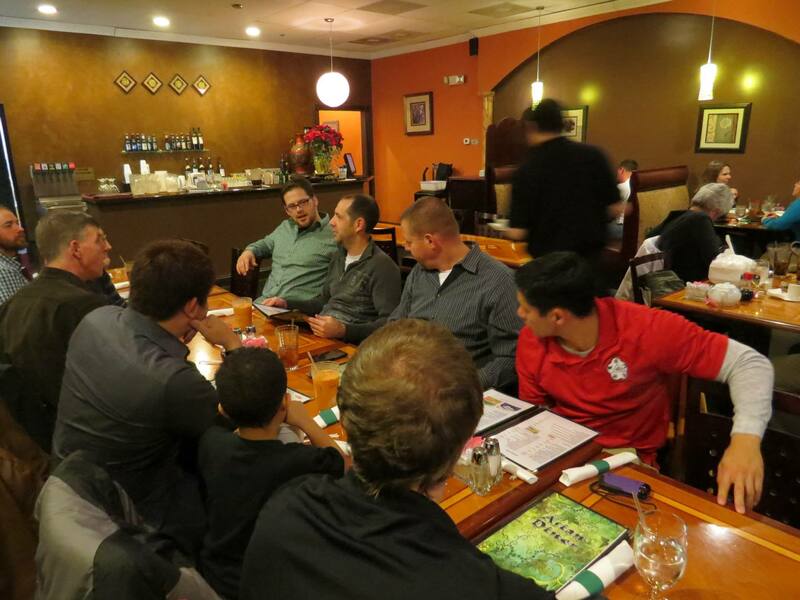 As a New World Premier Kungfu Organization, we have grown quickly and expanded into 13 Countries including; North America, South America, Middle East, Asia and Europe. 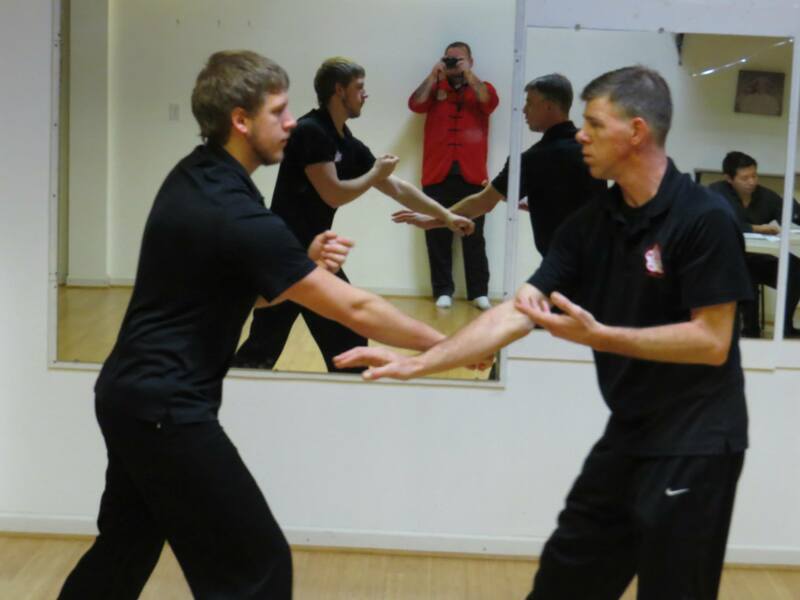 Some of the uniqueness of Shaolin HKB Wing Chun Kung Fu: + Efficient and Adaptable Approach It not just about the skill of the instructor but also the TEACHING Skill to pass on the info to You. 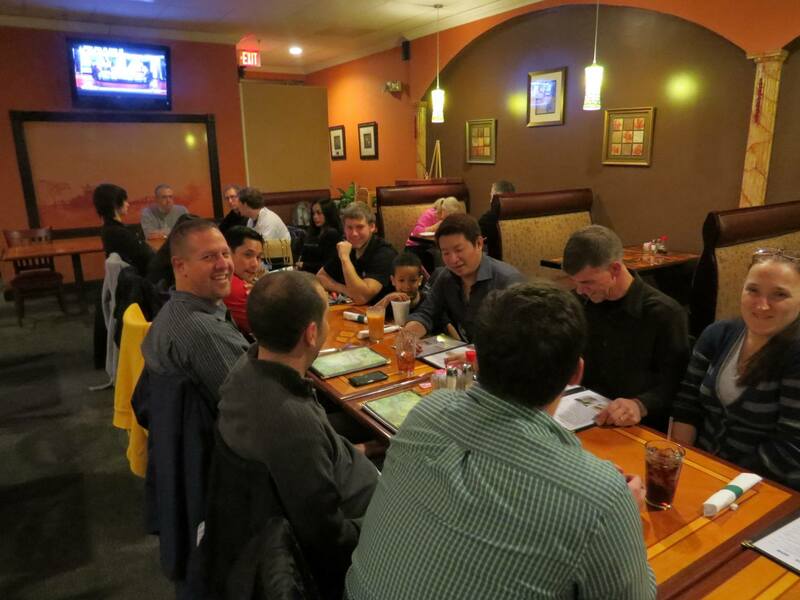 + Realistic Self-Defense Skills and Strategy You will leave your very first meeting a safer person. Real Integrated Ch'an (Zen) It's not just lots of philosophy, it is a Real original part of the training and effectiveness of the Art. Mental Training Exercises Find yourself a more focused, peaceful, relaxed, energetic, and capable person in All aspects of Life. "Kung Fu" doesn't mean 'Fighting'. 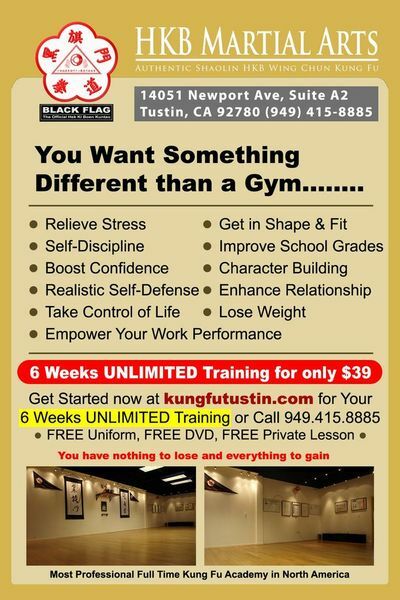 Kung Fu means: "Excellence." Inner Peace, Stress Relief and Meditation It's not about beating you up. It's about BUILDING YOU UP. Making Safer, Happier, Healthier People. Strengthen the Body and Heal the Muscles, Sinews and Tendons You want a system that is going to heal your body over time, not tear it down the older you get. Unique Body Tone and Expression Something different from the Gym, that still produces internal and external (visible) results for your body. Explosive Impulse / Relaxed Internal Power This is something you have to come and see, feel, and experience for yourself. Unique Progressive Training Methods This allows us to produce more skilled and well equipped students, in a shorter period of time. Thank you for Everyone Support! 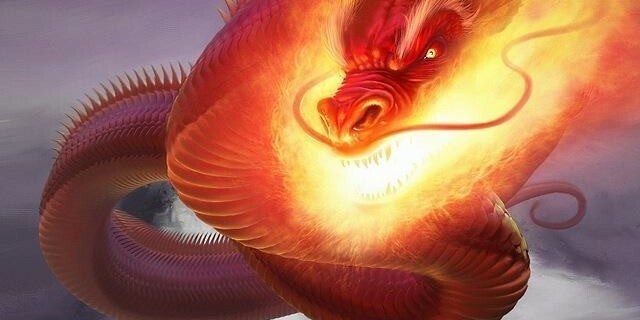 Looking back several years, I want everyone to know that the key success of our mission to spread, preserve and advance HKB are most definitely because of all elders and leaders involved and always constantly support me building the International Hek Ki Boen Eng Chun Organization all this time. The CREDIT is DUE to everyone, no matter how small their contributions are! GM The Kang Hay, My Main Sifu, the direct successor of Late GM Kwee King Yang of the Hok Kian Eng Chun Kok Sut Cia [Fukien Wing Chun Kungfu Family] from all of the kungfu and life teaching that he has given since 1985. Without his role as my Kungfu father, I would not be the same person as today. There is no other word to describe how his way of life influence me to be a better person everyday. His good morality and principle of life has opened up my mind to understand life. Who we are is not what happen to us, but how we respond this. I am eternally grateful for his teaching and kungfu father role for me. 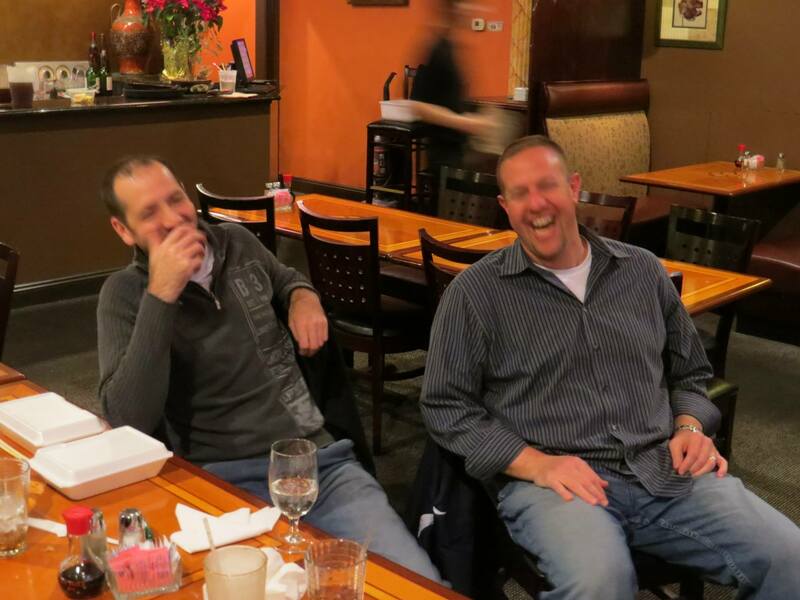 GM Tio Tek Kwie, One of My Sifu for giving me everything he could in his teaching. 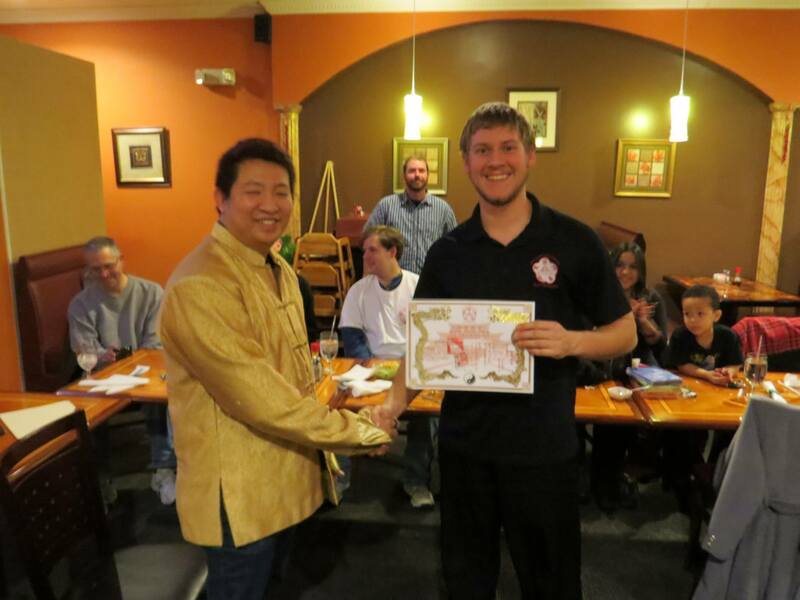 He is also the first sifu that encourage and support my teaching expansion to USA. Without him there is no HKB International today. Forever, I am grateful and respect him as my family. GM Elders of Hok Kian Eng Chun Kok Sut Cia: GM Tan Swie Hoo, GM Un Hauw, GM Lim Bi Kong and GM Yoen Xing Yen for their support to our establish HKB International. 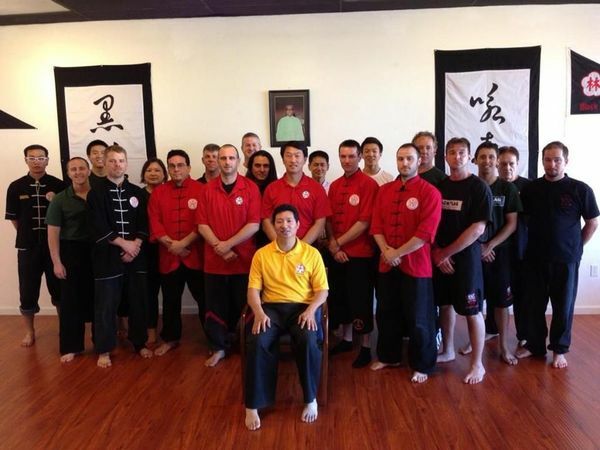 Early Master Instructors and Senior Disciple from Virginia, USA: Master John Hackmeyer, Master Benjamin Blalock, Master Andrew Wonpat, Master Gordon Pollard, Master Daniel Brant, Suheng William Kesner, Suheng Joe Cagnina, Suhu Mark Boyd, Suheng Joshua Mains, Suce Logan Sparks, Suheng Larry Braboy and Master Kenneth Rimestad for all their support in building the organization and keep the kungfu faimily at VA school in place. Suhu Alex Magnos, for all of his support to promote and spread HKB in Brazil. He was a pioneer for HKB in Brazil. Master Gianluca Giusto and Master Riccardo Di Vito, for all of their support as an appointed National Chief Instructor For Italy. Their ongoing Support to continuously Promote and spread HKB in Italy and some other part in Europe has really touch my heart. Without their genuine passion, there is no HKB in today in Italy. And also not to forget Sifu Antonello Parisi and Stefano Luzi who opened up the way for HKB to enter Italy. Very grateful. Master Dave Morgan, for all his support on HKB HQ Project and spread and constantly promote HKB in UK. He has worked so hard to put everything together to support the future project for HKB International. Master Gordon Pollard, for all of his support as an appointed National Chief Instructor for Germany. He has worked very hard to plant the seed and open the way for HKB to enter Germany. His passion and true passion is heart felt. Suheng Dimitriou, for all of his support to plant the seed of HKB in Greece. 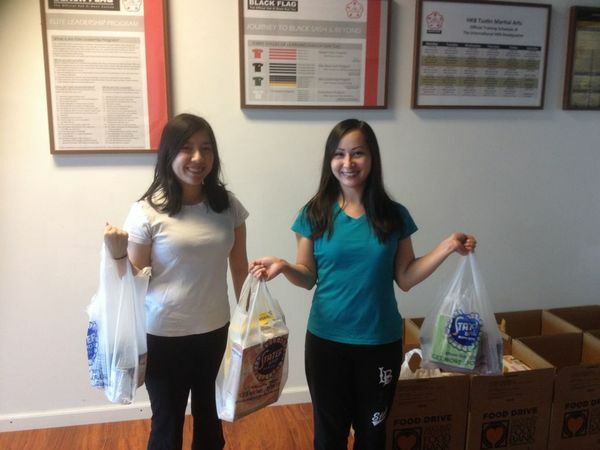 Suheng Anh Do and Suheng Albert Tangtheinkul, for their support at HKB California HQ and hold the school down. So much time and effort they've done for the schools. 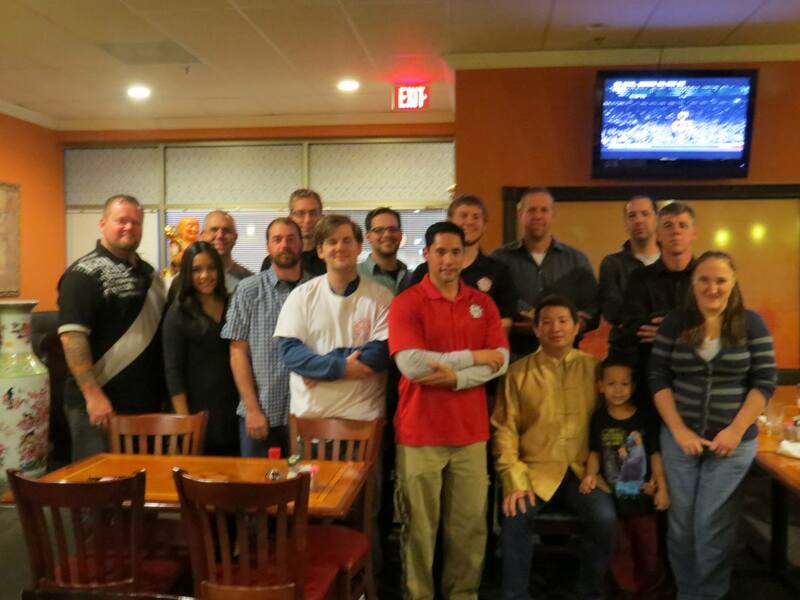 All other HKB Instructors both Licensed School and Non Commercial Club , who have promote and spread HKB Art for future generations in their own area/city; Suhu Brad Ryan(Texas), Suheng Michael Sampson(Georgia], Suhu Mauro Caropo(Torino-Italy), Suhu Aaron Mckillips(Dayton), Suhu John Lamber(Cincinnati), Suhu Chango Noaks(Indianapolis), Suhu Xan Smith(Cincinnati), Suhu Sajid(Chicago), Suheng Manoel Ramos(Recife), Suheng Boscolo(Sao Paolo), Suheng Mark E Bober(Pennsylvania), Suheng Stefano Fenzi(Livorno), Suheng Marino Baccin(Novara), Suheng Andrea Ravera(Savona), Suheng Pierpaolo Barnieri(Albenga), Suheng Simone Maineri(Albenga), Suheng Massimiliano Sinopoli(Albenga), Suce Sara Pilepich(Albenga) and still many others that I haven't mentioned. All HKB Students and Members anywhere in worldwide for their support and trust. On my personal behalf and the behalf of the Official HKB International, I want to thank everyone! Sifu Michael Sampson, Our HKB Licensed School Instructor has spent and invest so many hours making this dummy available. I personally, has also purchased one from him for our HQ school as well. I can honestly say that I am very happy with his work. It is such a good craftsmanship and great functionality to train HKB Bai Jong Concept and position in different aspect. I strongly urge all the HKB Leaders to purchase at least one unit to be installed in your school as HKB School/HKB Non Commercial Club. The price is very reasonable, so please contact Sifu Michael Sampson Directly to get the pricing. 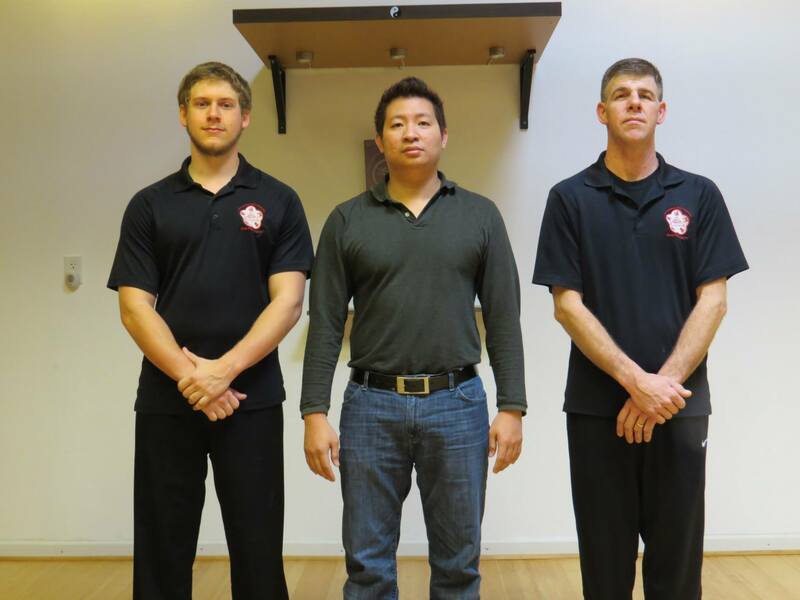 Sifu Michael already has 30 units available ready for immediate ship. Please order now. I think it should be really nice to have an HKB Wooden Dummy as an official HKB School or club. It's Given Away for FREE!! 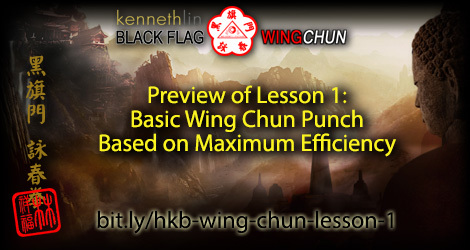 For the first time online, GM Kenneth Lin will go in depth on the Internal Power Development within Black Flag Wing Chun. The purpose of this Webinar is to Demystify the Internal Power myth by going in depth on What, Why, How and The training methodology to develop this internal power. In the end, there is no more room for tyranny self-proclaim sifu/master to 'sell' it as secret 'this' or 'that'. There is no Secret in Internal Power, Just the hard training with the right method. Two Hour Investment that will make a different in your training. It is time for The Revolution of HKB Internal Power Development. This Event is Open to Both HKB MEMBERS Worldwide as well as Non-Members. It will be an open interactive learning and discussion. If you wish to remain anonymous, you may participate and ask question through our private line and we will answer it still openly but kept your identity confidential. Due to private lineage chart contain some part of black flag lineage that was circulated in facebook since 2 days ago on February 17, 2014, it has created some unfortunate mis-understanding of who are the official HKB representative. 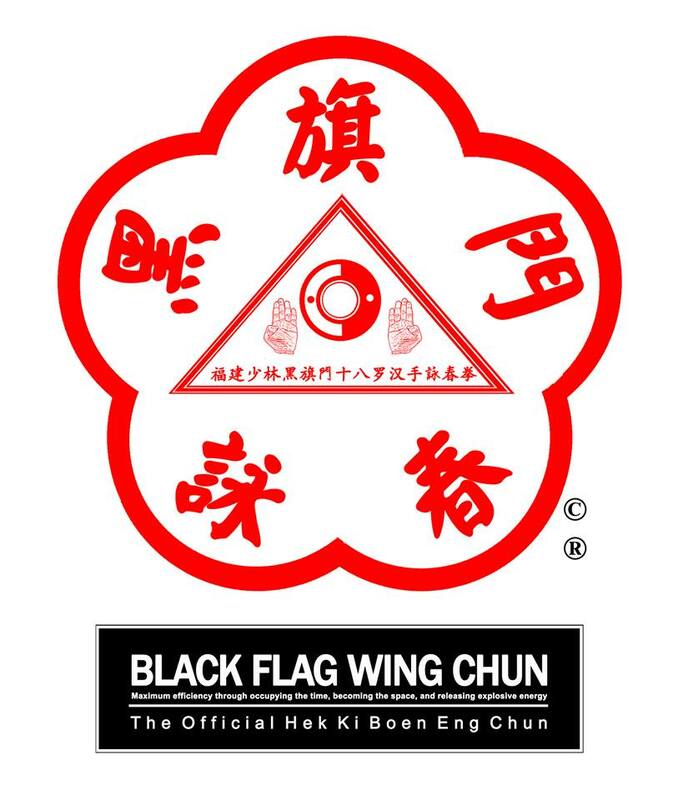 For validation purpose, if the instructor name is not listed here, they do not have any authority,license,permission to teach and represent HKB Eng Chun [Black Flag Wing Chun]. 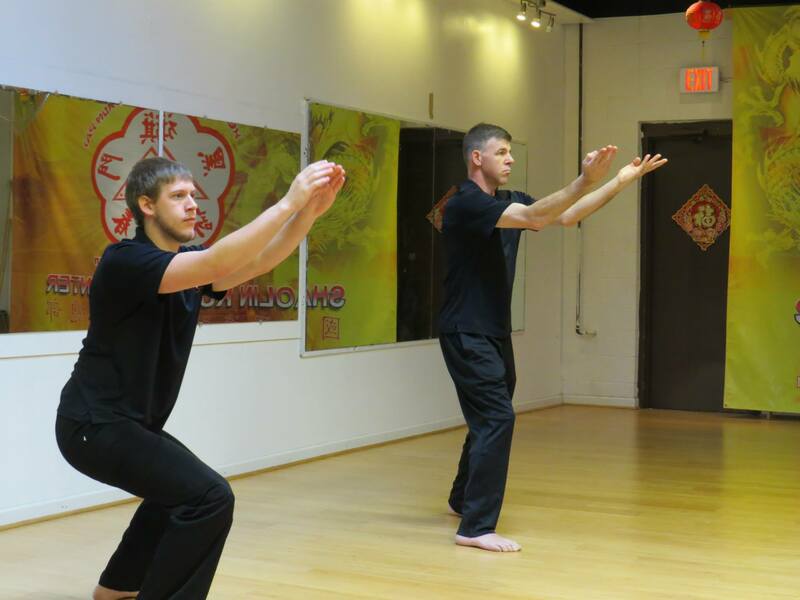 It’s been over 8 years since I have been teaching Hek Ki Boen Eng Chun, which is my standard Training methodology format of Hok Kian Eng Chun Kok Sut system to the International public. 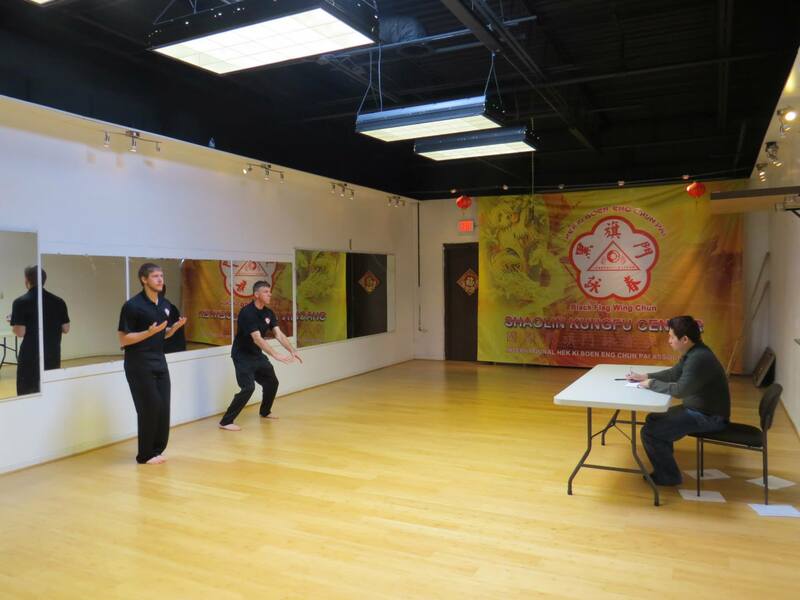 Everything started at this very important place; Shaolin Kungfu Center, in Fredericksburg, Virginia. Because the support of the original Senior Students and Instructors; Master Benjamin Blalock, Master Andrew Wonpat, Suhu John Hack Meyer, Suheng William Kesner, Joe Cagnina and Daniel Brandt as well as other senior students whose name I haven’t mentioned, We have establish the international HKB Organization successfully and spread this art for future generation through creating many leaders within HKB International. Every time I came back to Virginia, There are very strong connection, I can feel those good memories from the past. That’s our Kungfu Life. My Wish all of these years, was to be able to create generals and leaders around the globe to spread, preserve and advance the art for the future generation. My work is finally done now, my short term goal is accomplished now. Here is one of the highlight or milestone we did this year. 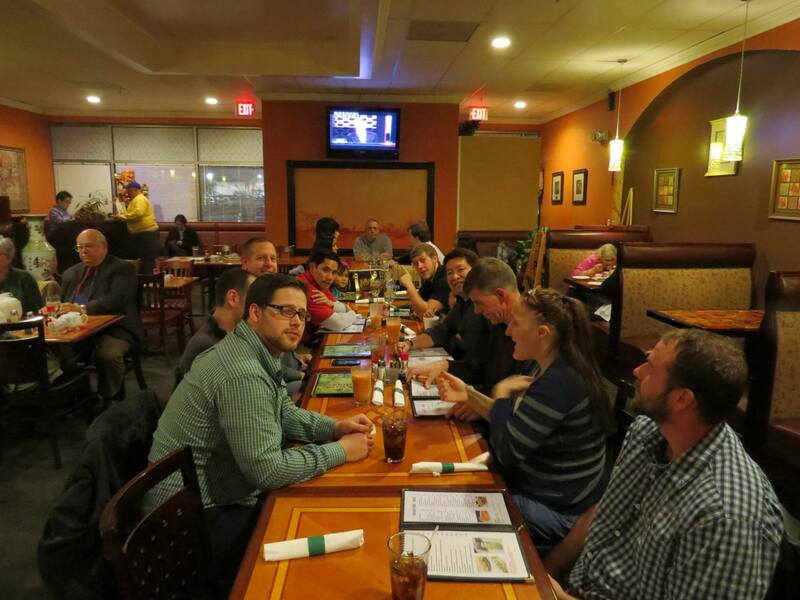 I have successfully trained two senior disciple; Daniel Brandt and Mark Boyd to be finally stepping up as the leaders, independently, to continue my work in Virginia using our License HKB School program as a vehicle. In the recent trip to Virginia, Daniel Brandt and Mark Boyd participated in our official Instructor testing and applied to have the License to open an Official Licensed HKB School. Based on the result of the test, they have demonstrated the required skills and knowledge to pass and therefore awarded the title accordingly. 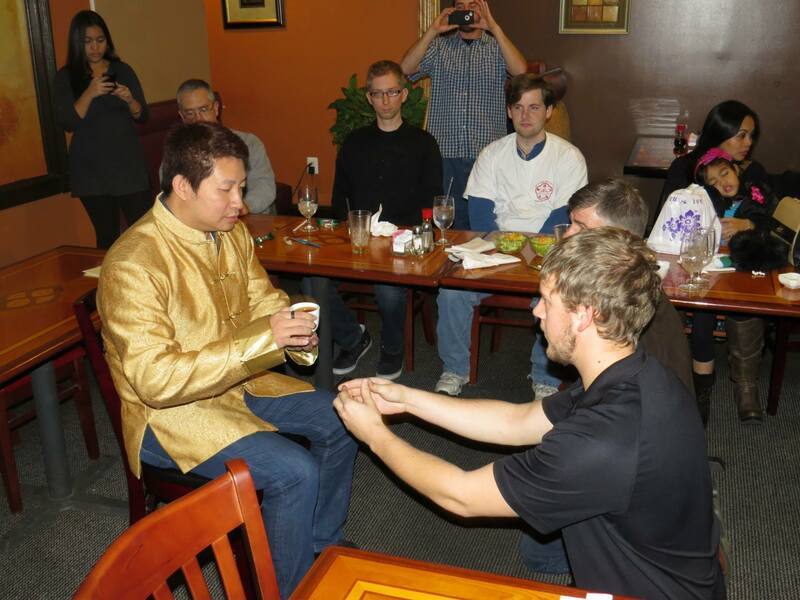 Furthermore, they went through to Bai Shi [Tea Offering] Ceremony and were accepted as my indoor disciple [Tier 3 Instructor] and took an oath. And received the Official License to open an Official License HKB School. Furthermore, Very soon I will be making an official announcement of our other division of HKB School, called HKB NON-Commercial Club where people can learn HKB for FREE in their local area in their regular classes, seminars and workshop, in addition to the current establish Official Licensed HKB Schools. 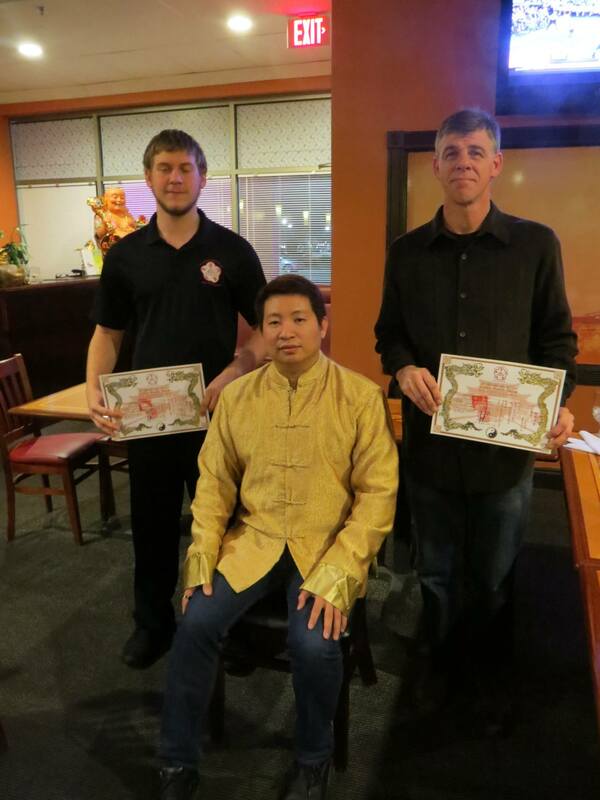 For this, Please join me as well to congratulate Master Andrew Wonpat and Suhu Johnhackmeyer as I have elected them to be the main International Program Directors for all HKB Non Commercial Clubs around the globe. More details information about the HKB Non Commercial Club will soon follow. 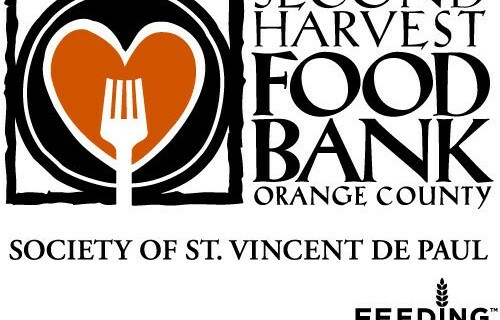 Please Click LIKE and SHARE to support this and congratulate everyone. 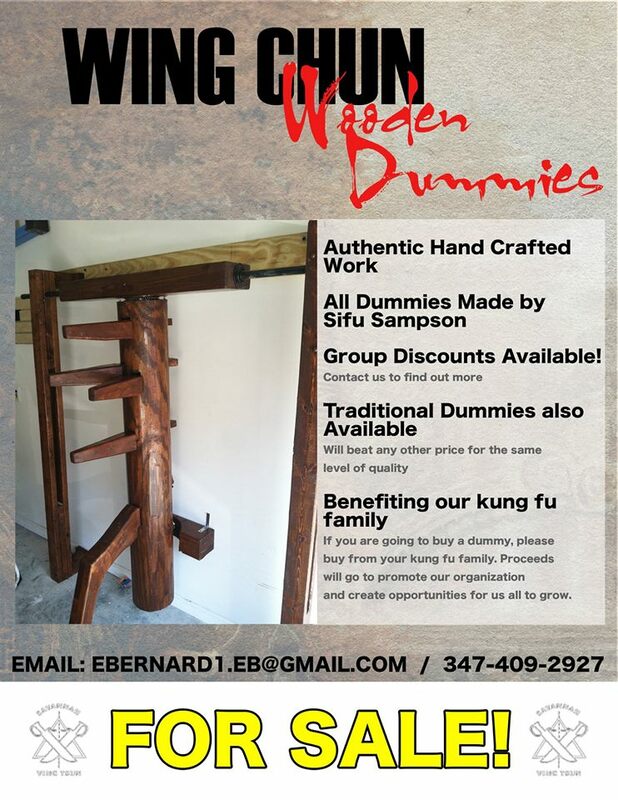 For the First time on the West Coast we are having an Official HKB Wooden Dummy Seminar on the 18th and 19th January 2014 at 11am-3pm . 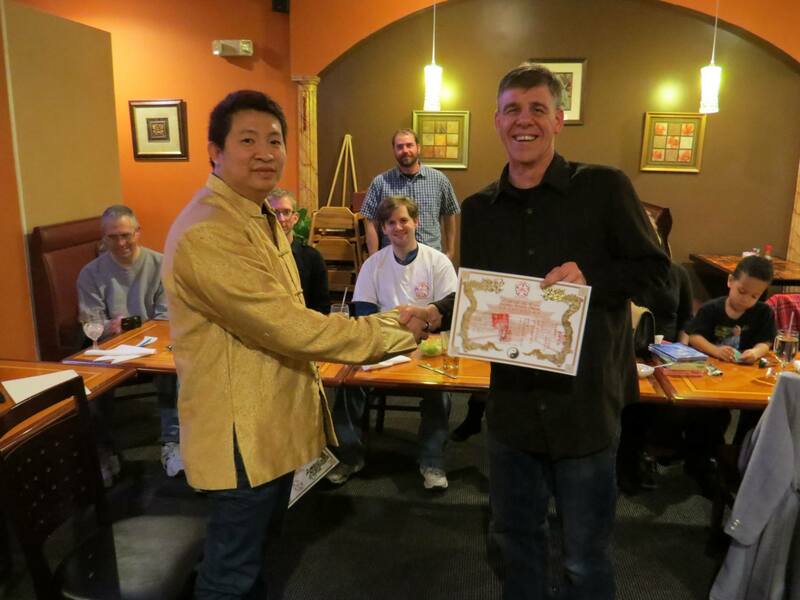 The investment is $99 for a 2 Day Intensive Workshop held by HKB Grand Master Kenneth Lin. That Means, it is only the following first 10 people from outside the school that sign up are accepted. RSVP Your Spot TODAY. Don't Miss out!